My daughter is six and we quite enjoy comics. I was wondering if anyone has some age-appropriate comic recommendations? So far, we've been enjoying Lumberjanes, Ms Marvel and the Oz graphic novels. Whilst those can have scary-ish monsters and cartoon violence, we are avoiding gore and existential threats. Example: her gran was reading her the Harry Potter books and the Dementors were just a bit too spooky! My daughter (8) is still a big Lumberjanes fan (who isn't? ), and she recently enjoyed the Andy & Lucy Neanderthal books, from the super-productive Jeffrey Brown (as did I). She also got a kick out of Moonstruck, from Lumberjane's Grace Ellis but it's pitched slightly older than its predecessor, and your kid's interest in lesbian werewolves and barista centaurs may vary. Just wanted to say thank you. We got hold of Bone and have been enjoying it immensely. 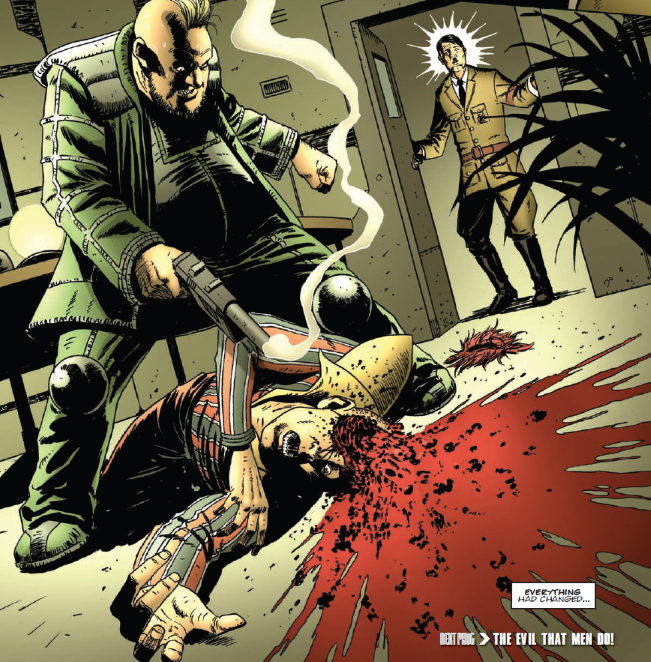 Yeah: I think some of the earlier stuff could fly, but as 2000AD has aged, it has become a lot more graphic. Yotsuba is always recommended to new readers, but be warned it's manga and risks turning your child into a weeb. Younger relatives who enjoyed that also thoroughly enjoyed Stargazing Dog, which is about homeless man and a sick puppy living in a car in a field and increasingly seems like a parable for our times. Marvel's Adventures line from the early part of the millennium is also a good source of harmless fun, particularly the Spider-Man and Guruhiru-drawn Power Pack series. You used to be able to get them in little digest collections of 4-issue arcs, though I don't know if that's still the case. If you can get the original Power Pack origin collection, the colouring dates it but it's still a solid child-friendly read even after 34 years. Oh that's cool glad your both enjoying... mind with the genius that is Jeff Smith its not much of a gamble!